Need a Roof? Coverall has you covered. 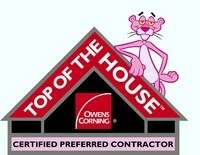 We use certified professionals and quality products for your Michigan roof replacement. 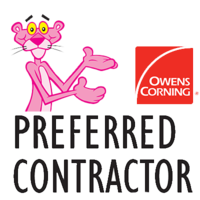 Upgrading insulation is usually a top priority for improving comfort & energy efficiency. Without a well-designed roof, your home can say goodbye to protection against the elements that Michigan weather throws its way. Coverall Roofing is an established roofing company with over 15 years of experience in the industry, and we want to make sure your roof performs to the absolute best of its ability to keep your family safe. 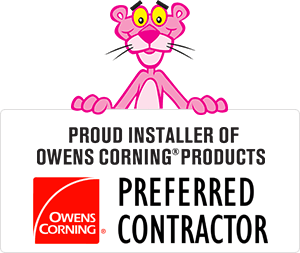 All of our technicians are fully trained and certified through Owens Corning to give you industry-leading roofing services. And as a family owned and operated company, we always treat you like one of our own. By placing your confidence in us, you will experience the ultimate in roofing repair and installation services that add beauty and value to your home. Are you ready to talk over your roofing needs with a professional, or are you interested in finding out more? Contact Coverall Roofing today to schedule a free estimate in Macomb, Sterling Heights, Clinton Township, West Bloomfield, Utica, Waterford, Saint Clair Shores or nearby, and find out what we can do for you! No matter how big or small your roofing problem seems, it's always best to call in a roofing specialist sooner rather than later. Coverall Roofing can help you find an affordable, lasting solution to give you a valuable roof and peace of mind that your home will stay protected, come what may. Ready to start your roofing project? Call us at 1-888-205-ROOF or contact us online to schedule a free estimate for roof repair or replacement! We offer our services to residents of Farmington, Rochester, Troy, New Haven, Grosse Pointe, Sterling Heights, Macomb, West Bloomfield, Clinton Township, Waterford, Saint Clair Shores, Utica, and areas nearby, and we can't wait to help restore your roof to perfect condition!